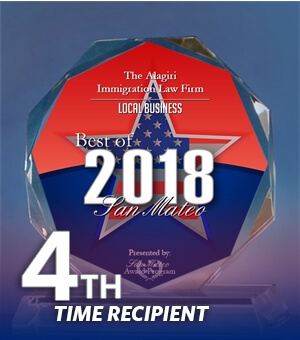 Learn Why The Alagiri Immigration Law Firm was Voted "Best Boutique Immigration Law Firm in California." At The Alagiri Immigration Law Firm, our mission is to take the stress out of your case and help you reach your immigration goals. Founding Attorney Priya Alagiri comes from a family of immigrants and understands how difficult the process can be. To best serve our clients, we exclusively practice immigration law and provide personal service for each and every case we take on. Our experienced team in San Mateo is there to listen and help you navigate the complex immigration system. Since establishing The Alagiri Immigration Law Firm in 2005, we have made a name for ourselves as trustworthy and knowledgeable advocates on behalf of those who wish to immigrate to the United States. Our skilled San Mateo immigration attorney has helped hundreds of clients reach their immigration goals. As a boutique law firm, we are able to provide a significant level of communication and personal interaction throughout each case. In addition, we maintain a singular focus on immigration law so that we can better serve our clients and stay up-to-date on the ever-changing policies and developments in the field. Let our team minimize the stress and anxiety in your current circumstances by walking you through your options and providing you with experienced legal advice. Contact us or call (650) 562-6900 to schedule a consultation. Over the years, we have been fortunate to help many clients on their road to immigrating to the United States. 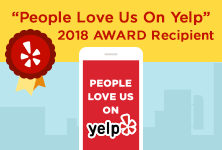 Due to our personal and thorough approach to each case, many of those clients have given us positive reviews and recommendations. While we cannot guarantee the outcome of any given case, we can guarantee open communication, personal service, and thorough advocacy on your behalf. Read what our clients have had to say about us or find out more for yourself by contacting our firm. The best immigration lawyer I had ever met in the past 10 years!